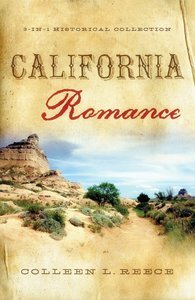 3-in-1 collection penned by Colleen L. Reece takes readers on a Wild West ride to frontier California. Will love be golden for a runaway girl and a once-bitten, twice-shy rancher; a rebellious young gal and a ranch hand; and a scoundrel's daughter and a small-town minister? About "3in1: Romancing America: California Romance (Romancing America Series)"